Beachside Baptist Church is a Christ-centered, caring church family located beachside in New Smyrna Beach, Florida. Our desire is to love God and each other, and to share with others the Good News of Jesus Christ as we worship, teach, serve and nurture spiritual growth. Please feel welcome, as we count it a privilege to worship the Lord with you. Members of this New Smyrna Beach church enjoy building relationships, worshipping God, and ministering to others. Our passion is to grow closer to Christ and help others do the same. We offer many opportunities to share in the joy of fellowship – browse our site to find something of interest to you. If you’d like more information on any of our activities, please contact us. 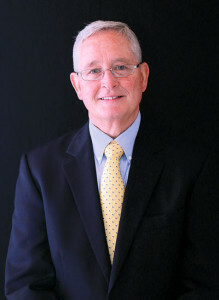 Hi, I’m Don Shobert, pastor of the New Smyrna Beach Beachside Baptist Church since May of 2011. What a joy it has been for me and my wife Joyce to minister and worship with the wonderful church family at Beachside. You would be hard-pressed to find a friendlier, warmer, more loving fellowship of believers than you’ll find here. Please accept my personal invitation to join us in worship any and every opportunity you have. I promise you will feel welcome!